Perhaps you’re looking for a new path. You may feel stuck, and you can’t see the next step forward. You want to see positive change in your life, clarify your direction, or reach your goals, but the way is not yet clear or you know where you want to go but have been unable to get there on your own. Accountable Coaching with Coach Nan can be your way forward, can help you find the steps on your path, can help you move past where you may have stopped yourself before, and can help you gain the clarity and focus you need to support you as you reach your desired changes and goals. 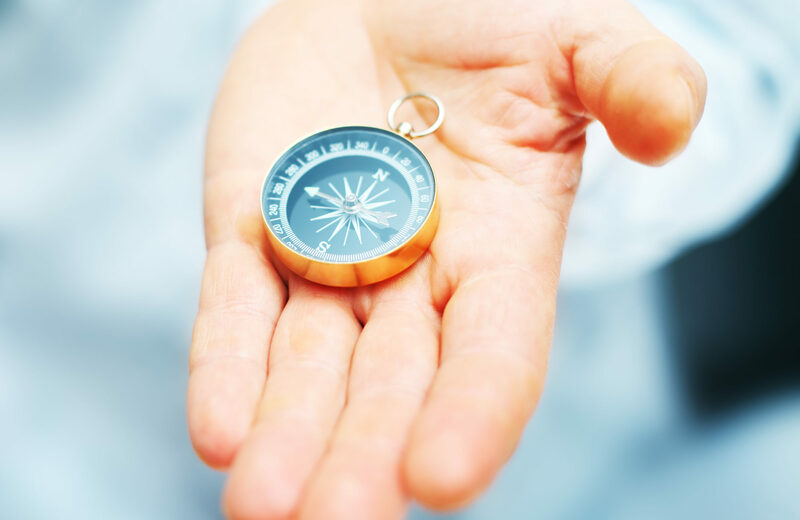 Coaching acts as a Compass in your life. How do we know when we are moving in the right direction, and when we are staying on a course we’ve set for ourselves? Conscious review of decisions and actions. Participating in the Accountability process with your Coach. Designing Authentic Actions (actions representing your Values and Life Intentions, leading toward your goals) and committing to a time stamp, a date when each action will be completed. Reporting along the way during Coaching sessions. Repeating review process when/if new information arises. Making new decisions and designing additional authentic actions. Seeing still on a conscious course, your chosen path, even when/if a variation becomes necessary. Your decisions and Authentic Actions, whether original or changed to meet new criteria, ensure your ongoing Success. Success is defined in Coaching as doing what we say we are going to do with Clarity, Focus, Ease, and Gratitude. Being willing to direct your attention to Look, See, Tell the Truth and take Authentic Action with your Coach provides a compass so you can maintain focus and forward motion. Consistently steering in the direction toward which you intend to arrive. Coaching helps you understand yourself and your thinking process, values, and visions so you can see your current situation more clearly and improve lives, relationships, and business performance. What gives your life meaning and sense of purpose? Coaches see that clients have their own answers within them. It is the Coach’s goal to create a space within which clients find those answers, to support you by asking powerful questions in a process to help you uncover your own solutions. Your Coach acts as a conduit in this process as you see your way cleared toward your desired results. Engage in action- and future-focused discussion that will help you visualize and achieve your personal goals. Identify the resources, creativity, and tools already within you. Use skillful questions to help you become more resourceful in current and future situations. Help you extend and realize new capabilities, skills, and tools. Help you identify your opinions, conclusions and values and how they can inform your steps forward. Overcome stumbling blocks, detrimental thinking, and Structures of Knowing which may no longer serve you. Emphasizing a focus on solutions, Coaching enlists the discovery of client strength and resources, with an emphasis on resilience, toward purposeful changes. Resulting in the experience of personal and professional achievement of client goals. Each has his or her own time and place. This quiz might help you decide where to turn. It is vital that anyone looking at Coaching selects a highly recognized, professionally trained, certified and credentialed Coach. In all areas of your life, when needed, you would certainly decide on professionals holding current certifications and licenses to practice. A Physician who honors the Hippocratic Oath, an Accountant who is certified, a licensed Attorney with a law degree, etc. and a Coach with professional training, certification, holding current credentials of continued training and requirements to follow an ongoing code of standards and ethics. ICF Credentialed Coaches also adhere to a rigorous Code of Ethics which provides enforceable standards of Coach conduct. A critical aspect of choosing a Coach is also finding one with whom you feel a rapport. Coaching takes trust and respect on both sides. It is challenging to achieve personal growth and sharpened self-awareness without a deep level of confidence in the person providing your support. Accountant•Attorney•Investment Manager•Physicians•Personal & Business Services of all types•Other Life Coaches•City Administrator•Pharmacist•Mechanic•Teacher•Saleswoman•Farmer•Home trades•Journalist•Builders•Housecleaner•Pilot•High Tech•Entertainer•Manufacturer•Marketer•Members of the Clergy•Educator•Rancher•Homemaker•Political Activist•Government Workers• Photographer•Hairdresser•Animal Careworker•Engineer•World Traveler•Translator•Volunteer worker•Writer. You can read more about their journeys on the testimonials page. If you see that Coaching by a professionally trained and Certified Credentialed Coach is right for you or what you need in your life, and are ready to speak with Nan, please contact her at 01-760-567-6669 or email her at Nan@AccountableCoaching.com. Please include your available times and your time zone in your message.